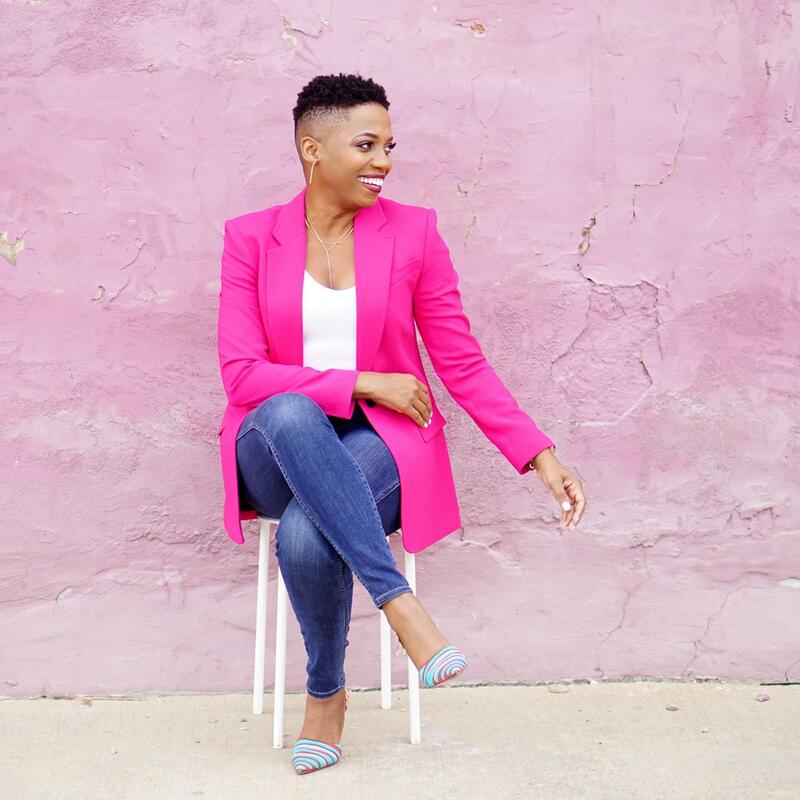 The power suit trend for women has gone from fad of the moment to a movement. And, in 2019, the movement is getting louder, bolder, and brighter. If you buy one new thing this year, let it be a standout blazer. 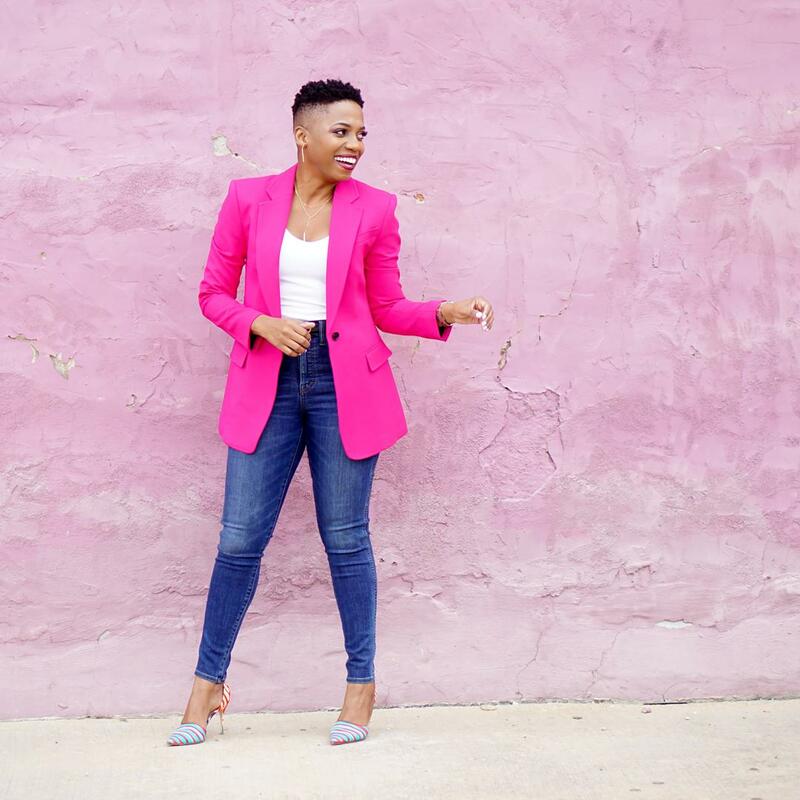 Bright blazers are must-haves you can wear right now and also use to transition your style through the seasons. Want to know how to choose the right color? Spin a color wheel. No doubt, one of my favorite trends from 2019 runways is the bold power suit trend. 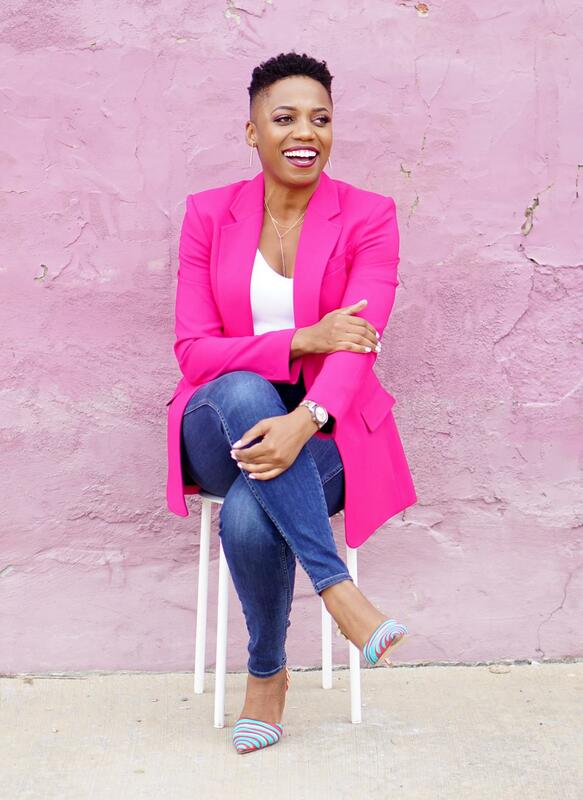 A power suit, especially in a bright color offers so many fun styling possibilities. You can go matchy matchy by rocking a blazer and trousers in the same bright hue. You can get creative and block different colors together. Or, you can dress your suit separates down by pairing them with more casual pieces. 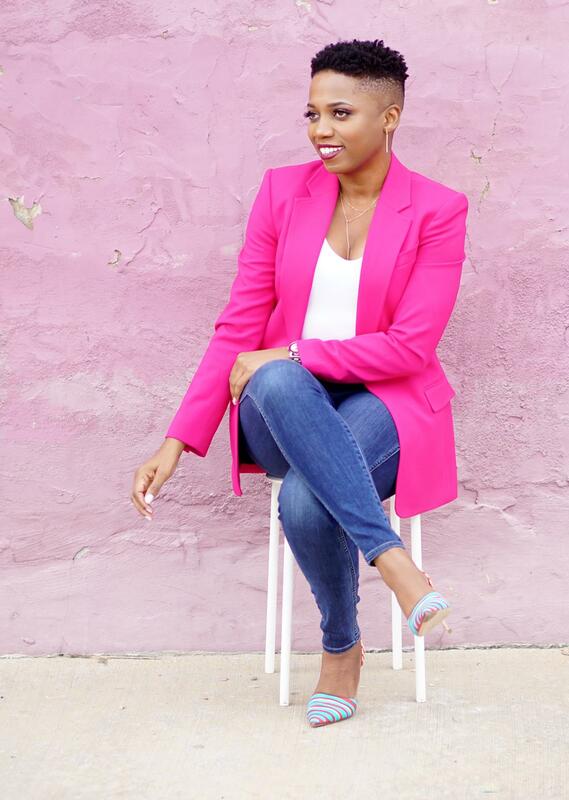 In today’s look, I dressed down my hot pink blazer (see this option as well) by pairing it with jeans. Even this casual combination offers serious versatility. I could dress the look down even further by wearing flats or sneakers. I could make the look more polished by choosing dark rinse jeans. Serious style versatility, right!?! 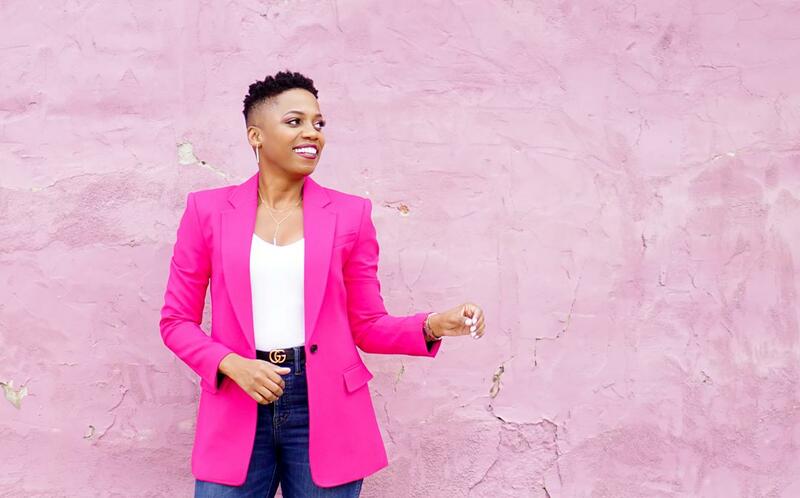 What’s your favorite bright for a blazer? I’m on the lookout for a deep orange and a rich yellow style. Want more inspiration for rocking your bright blazers? See a bold power suit here.